Subscribers to BRAIN will receive the guide with the June 1 issue. BOULDER, Colo. (BRAIN) — VeloNews will distribute its 2019 Tour de France Guide to 142,000 readers. PITTSBURGH (BRAIN) — Close to two years after suspending its print edition and moving exclusively online, Bicycle Times’ website is winding down, with content migrating over to the website and print magazine of fellow Rotating Mass Media title Dirt Rag. BOULDER, Colo. (BRAIN) — CyclingTips has promoted Caley Fretz to the position of editor-in-chief as Neal Rogers, who previously held the position, becomes the media company's editor at large. BOULDER, Colo. (BRAIN) — Andrew Pemberton, a former publisher of VeloNews and executive at Panache Cyclewear, has returned to publishing as the CEO of Pocket Outdoor Media, the holding company that publishes VeloNews, Triathlete, Women's Running, Competitor, and VeloPress books. 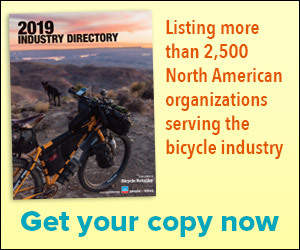 LAGUNA HILLS, Calif. (BRAIN) — Bicycle Retailer & Industry News' former longtime publisher Marc Sani is returning to the helm of the magazine. LONDON (BRAIN) — The Global Cycling Network has launched a new Spanish language channel, GCN en Español. The company said it is the first part of a major expansion plan of internationalisation.